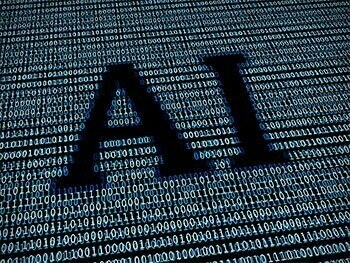 A powerful new A.I. software from tech startup NthDS is transforming the way that oil and gas (O&G) companies do business. Today, the company announced that its first O&G client used Nspect by NthDS to upload 1,500 well logs to a sorted, searchable database in just six hours—48,000 percent faster than the time required to digitize the logs using traditional data entry. Nspect is a sophisticated machine-learning program designed to automate the digital data entry of well logs and other written records. The software incorporates a highly advanced system of neural nets constructed on the Tensorflow framework and utilizing Python algorithms to process data and learn from it. Simply dragging and dropping a folder of scanned document files into NthDS’ Cloud server was all that was required to accurately and automatically convert the scanned pages into database files compatible with the client’s preferred database platform, saving them months of work and tens of thousands of dollars in labor costs. Visit NthDS.com to review the case study. Manual data entry is slow, expensive, inaccurate and impractical, making hundreds of thousands of historical well logs obsolete and useless. Nspect uses artificial intelligence to instantly scan all kinds of records, from printouts to typed pages to handwritten notes. All of this is performed without a costly or burdensome IT implementation, because it doesn’t require one at all. “This is no different than transitioning to word processing technology from a typewriter in the early 80s, the old methods are simply archaic at this point,” Mr. Ramirez said. To learn more about how Nspect can dramatically save your organization time and money while improving date-entry accuracy, please visit NthDS.com.